We here at the Brockmans team are so thrilled to be in Philadelphia, a charming little city packed with history, proud residents, and a dazzling array of places to drink. Our first foray into the Philadelphia drinking scene is at Spice Finch, a Mediterranean restaurant with a notable cocktail menu, located right in the center of town. 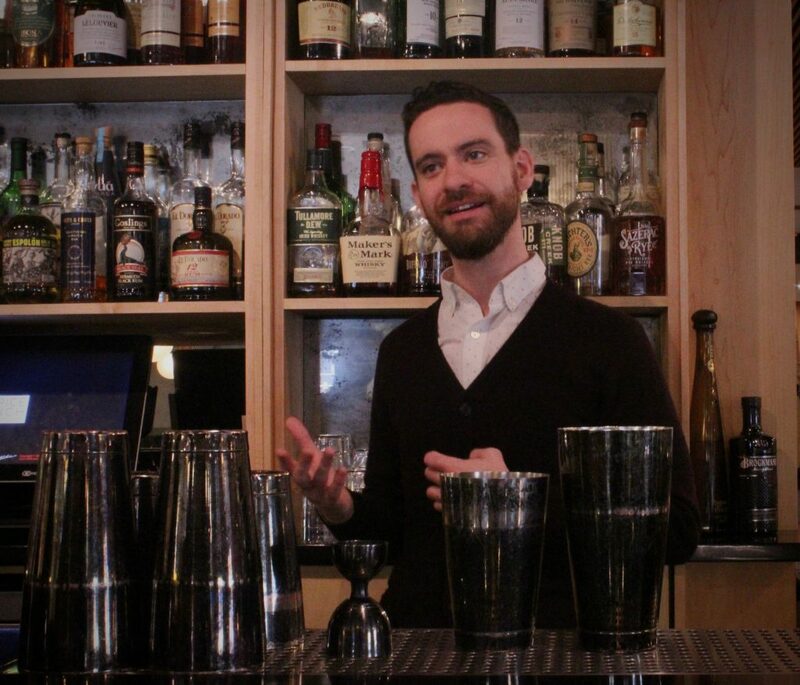 We’re sharing war stories with Michael Haggerty, the bar manager and born and raised Philadelphian. Michael is quite easy to talk to. From the moment we sat at his sleek, square-shaped bar, we feel like we could spend all afternoon laughing and talking shop. We ask him if there was a moment when he realized this job was more than just a means to an end. Still a young guy, Michael is already 14 years into the business. 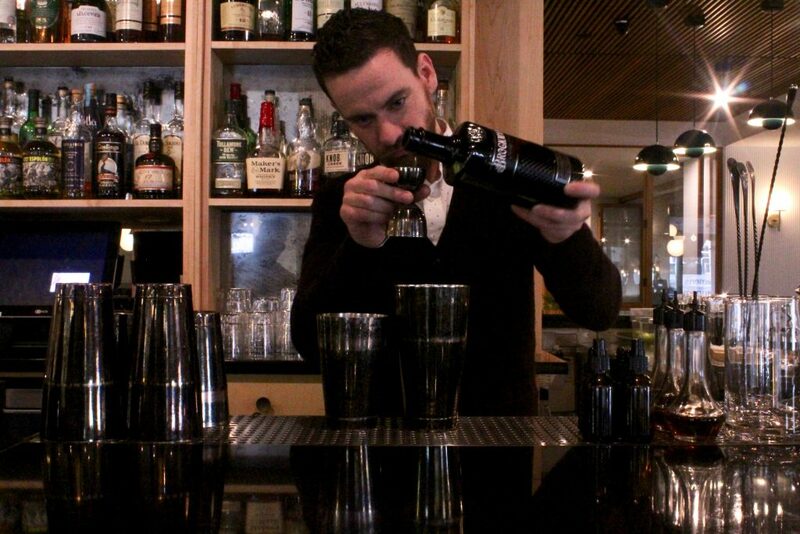 His first bartending gig, at 19, was selling beer in the nosebleeds section at Philadelphia Eagles games. 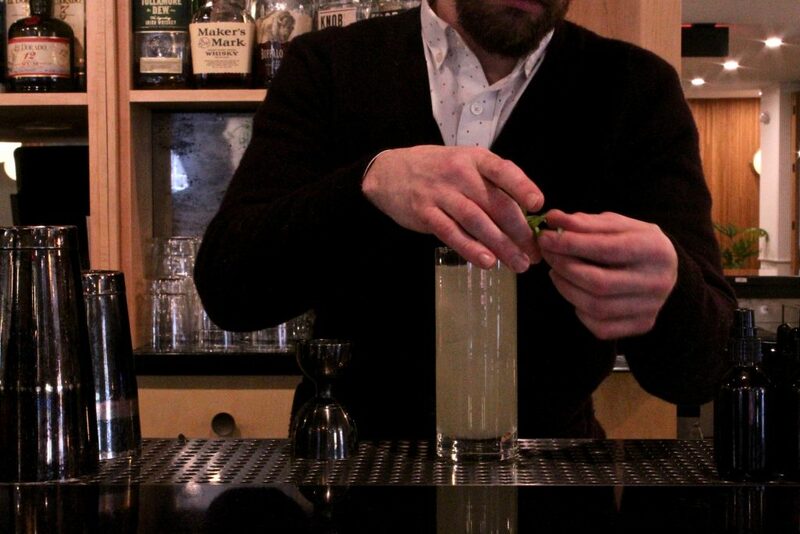 Michael has come a long way from pouring beers at football games though, and has witnessed firsthand how the cocktail scene has exploded in the States, and specifically in Philly. 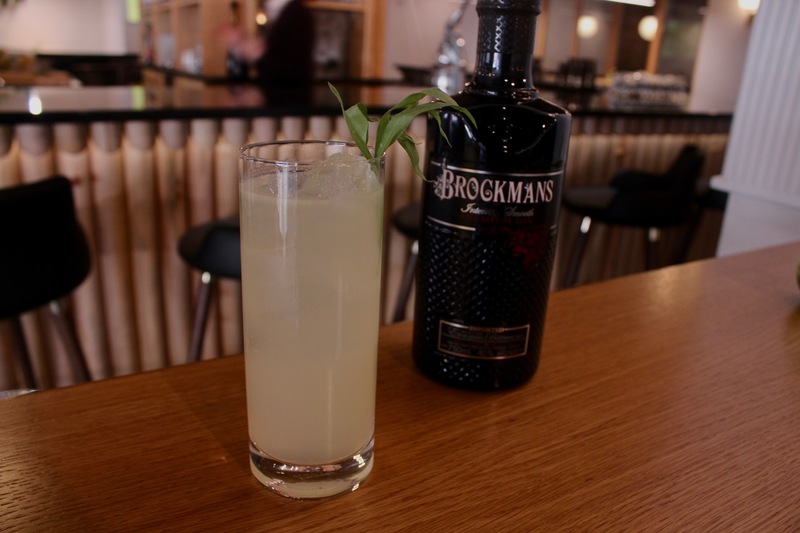 By now, Michael has made us his Brockmans cocktail, which he has named “Moving Parts.” It is a long drink, featuring fortified wine, tarragon, a fir liqueur called Sapins, and celery soda. 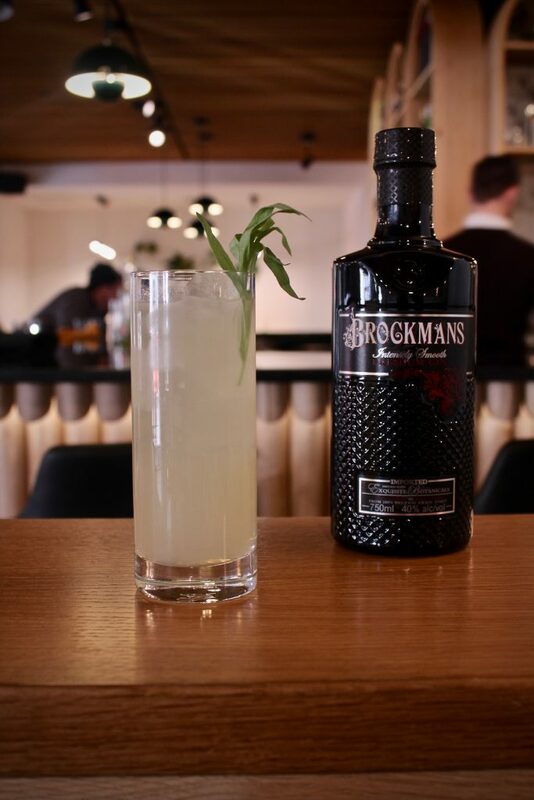 We love when bartenders pair Brockmans with herbs–they’re an earthy, unexpected compliment to the spice and citrus of the gin. Suffice it to say, we are really, really pleased to be in Philadelphia. Add all ingredients except the celery soda to a shaker. Shake vigourously for 10 seconds. Strain into a highball glass over fresh ice. Top with celery soda, and garnish with a sprig of tarragon.